Edit: The server move was successful! Please open a ticket if any problems are noticed. Thank you for your patience and understanding. On Wednesday, November 9th from 6 to 10 PM, the Sites.temple.edu infrastructure will be moved to new servers. The URL will not change and all sites will be moved to the new servers. No action is needed by site administrators or users. Starting at 6 PM, all logins will be disabled while the data is moved to the new servers. Downtime will be minimal. Please note that any Gravity Forms on your site will be temporarily disabled to prevent any submissions from being lost. The new servers are more powerful, have an updated operating system, and have the latest version of PHP installed. The site will also automatically use secure HTTPS connections. In addition to the new server infrastructure, all plugins and themes will be updated to the latest stable versions. The login code will also be updated and, as a result, departmental accounts will no longer be able to login. Please use individual AccessNet accounts instead. Multiple users can be added to a site if required. As always, if there are any questions or problems, please open a support ticket. This entry was posted in Announcements, Plugin Upgrade, Theme Upgrade on October 17, 2016 by Stephen Guglielmo. This site is scheduled to be updated on Thursday, July 28, 2016 from 6pm to 7pm. No downtime is expected. Many plugins will be updated and a few will be installed or uninstalled. For more information please submit a help request to Computer Services. EDIT: The maintenance has been completed successfully. This entry was posted in Plugin Upgrade, Theme Upgrade on July 28, 2016 by Stephen Guglielmo. This site is scheduled to be updated on Thursday, June 30, 2016 from 6pm to 7pm. No downtime is expected. For more information please submit a help request to Computer Services. This entry was posted in Plugin Upgrade on June 29, 2016 by Stephen Guglielmo. Temple University Sites has been updated to WordPress 4.0. This release features easier embeds, a new visual media browser, and many subtle improvements that should make posting to your website even easier. 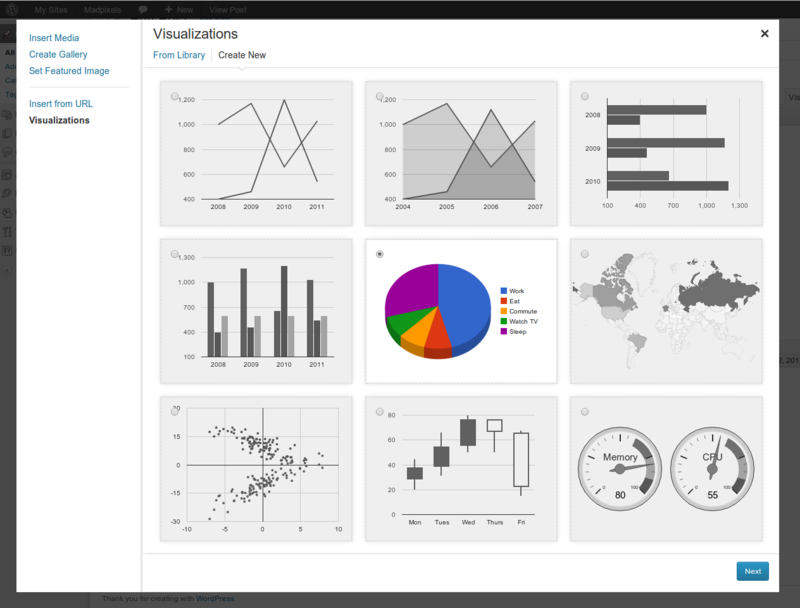 We have also installed the Visualizer plugin, which allows you to quickly generate charts and embed them within your sites. You can activate this, and a number of other plugins for your website by visiting the Plugins page within your site’s admin area. This entry was posted in Core Upgrade, Plugin Upgrade on September 23, 2014 by Sam Margulies.